Draft: 2011, Cincinnati Reds, 22nd rd. Following the 2015 and 2016 seasons was the organization's Minor League Pitcher of the Year...in 3 straight seasons from 2014-2016 was named an MiLB.com Organization All-Star...in 2016 was a mid-season Southern League All-Star...in 2015 was the Florida State League's Co-Pitcher of the Year and the Reds' Pitching Prospect of the Year as named by MLB Pipeline...was the winning pitcher for the U.S. team in the 2015 SiriusXM Radio All-Star Futures Game at Cin's Great American Ball Park...also pitched for the U.S squad in the 2016 All-Star Futures Game at SD's Petco Park...was the Reds' Minor League Pitcher of the Month for June 2014...in January 2017 participated in MLB's Rookie Development Program...in 2019 participated in his fifth Major League spring training camp. Graduated from Findlay Prep High School in Henderson, Nevada...played basketball at St. John's University, where as a sophomore he helped lead the Red Storm to the second round of the National Invitation Tournament...transferred to Cal State-Northridge in 2013 to play for coach Reggie Theus...has 10 siblings...follow on Twitter @Amir_Garrett. In his first professional season as a reliever produced a 4.29 ERA in 66 apps...entered the season with 6 relief apps in 130 professional games...tied Raisel Iglesias for second-most apps on the pitching staff, behind Jared Hughes' team-high 72 apps...13 times threw more than 1.0 inning, 5 times threw at least 2.0 innings and on 5/15 at SF threw a season-high 2.2 innings...the Reds went 35-31 in games in which he pitched...from 8/29-9/9 missed 12 games while disabled with a bone bruse in his left foot...when disabled, led the staff with a career-high 58 apps...stranded 36 of 44 inherited runners, third-best percentage on the staff (82%) and including the bases loaded once (6/21 vs Cubs)...13 times threw on consecutive days...from 7/2-7/4 vs WSox pitched 3 straight days for the only time in his career...posted ERAs of 1.35 in his first 21 apps and 2.40 through his first 36 apps...began the season with a career-high 8 scoreless apps (9.2ip, 7h, 1bb, 11k) and a season-high 11.2 scoreless innings (9g)...both streaks were broken on 4/24 vs Atl in what to that point was the longest relief appearance of his career (2.1ip, 3er)...in the 5-3 loss on 5/15 at SF, entered the game in the fourth inning for starter Tyler Mahle and in the longest relief appearance of his career allowed just 2 singles over 2.2 scoreless innings (4k)...struck out the side in the sixth inning...from 5/2-5/13 produced a career-high 6 straight hitless apps (6.1ip, 5bb, 9k). In his Major League debut, during 3 stints with the Reds made his first 14 apps as a starter (3-8, 7.49) and his last 2 apps in relief...his 6 quality starts ranked fifth on the staff (Scott Feldman 9, Luis Castillo 8, Homer Bailey 7, Tim Adleman 7)...as 1 of 7 rookies on the Opening Day Roster, started the Reds' fourth game of the season and went 3-2, 4.25 with 5 quality apps in 6 starts before he was optioned to Louisville on 5/7 preceding scheduled team off days on 5/10 and 5/15...made 1 start for the Bats, on 5/12 vs Charlotte in which he retired all 6 batters by strikeout (29 pitches, 20 strikes), before he returned to the Reds for starts on 5/18 at Cubs and 5/23 vs Cle...went 0-1, 13.00 (9ip, 13er) in those 2 starts before he was disabled with right hip inflammation...in his second stint with the Reds, from 5/18-6/20 went 0-4, 12.49 in a 6-start stretch interrupted by the stint on the 10-day disabled list (5/25-6/3)...after he came off the DL went 0-3, 12.15 in 4 starts until he was optioned back to Louisville on 6/23, when RHP Luis Castillo was promoted to start that night's game at Wsh...after that 6/23 option, spent the rest of the minor league season with the Bats until he was promoted again on 9/5...after his September callup made 2 starts (9ip, 8er) before finishing the season with 2 relief apps...began his Major League career with 12 scoreless innings over his first 2 starts before allowing a 2-run HR to David Freese in the seventh inning on 4/12 at Pit...Garrett's 12-inning scoreless streak tied Billy Rhines (1890) for second-longest to begin a Reds career...in 1970, Wayne Simpson began his Reds career with 15 scoreless innings...in his 2-0 win on 4/7 at StL (6ip, 2h, 2bb, 4k) became only the fourth Reds pitcher since 1900 to throw at least 6.0 scoreless innings in his Major League debut, joining Bob Spade (9ip vs NYG on 9/22/1907), Chief Johnson (7ip vs StL on 4/16/1913) and Wayne Simpson (9ip vs LA on 5/9/1970)...in that 4/7 debut recorded his first career strikeout (Kolten Wong) while becoming the first Reds pitcher to beat the Cardinals in his first career appearance since Keith Brown on 8/25/1988...his 12 strikeouts in the 2-0 loss on 4/19 vs Bal tied the modern franchise record for strikeouts in a game by a rookie lefthanded pitcher (Dennys Reyes, 8/20/1998 at Pit)...the staff's 16 strikeouts that night vs the Orioles fell 1 shy of the modern single-game club record for 9 innings...RHP Gary Nolan still holds the modern club record for strikeouts in a game by a rookie (15, 6/7/1967 vs SF)...on 5/23 vs Cle, in his eighth start, produced an RBI-double off Carlos Carrasco for his first career hit and RBI...on 6/9 at LAD left after 6 batters when he was hit on the left hand by an Austin Barnes line drive...x-rays were negative, and he didn't miss a start...became the first player from the Reds' Class A Daytona franchise to appear in a Major League game...entered the season rated by Baseball America the organization's third-best prospect and by MLBPipeline.com the 66th-best prospect in baseball. In his first action above Class A, for the second straight season was the organization's Minor League Pitcher of the Year...also was a mid-season Southern League All-Star and for the third straight year an MiLB.com Organization All-Star...at Class AA Pensacola and Class AAA Louisville, in 23 starts and 2 relief apps combined to finish 7-8, 2.55 with 132 strikeouts and just 99 hits allowed in 144.2 innings...led all Reds minor league pitchers in ERA and ranked fourth in strikeouts (132)...began the season at Pensacola...when he was promoted to Louisville on 6/17 was leading all Class AA and Class AAA pitchers in opponents' batting average (.184)...for the second straight season pitched for Team USA in the mid-summer SiriusXM Radio All-Star Futures Game...in the 11-3 loss at SD's Petco Park, threw hitless second and third innings but was denied the win when the World Team took the lead in the eighth inning and then scored 7 runs in the ninth...following the season was rated by MLB.com the second-best prospect in the organization and by Baseball America both the 16th-best prospect in the International League and 11th-best Southern League prospect...entered the season rated by Baseball America the organization's best athlete and third-best prospect overall. Following a full season at Class A Daytona was the organization's Minor League Pitcher of the Year, the Florida State League's Co-Pitcher of the Year and the Reds' Pitching Prospect of the Year as named by MLB Pipeline...shared the FSL's Pitcher of the Year Award with Charlotte's Jacob Faria...among all Reds minor leaguers ranked second in ERA and fourth in strikeouts...ranked among the FSL leaders in ERA (2nd), strikeouts (2nd), starts (T3rd), opponents' BA (.230, 3rd), WHIP (1.123, 5th) and wins (T5th)...held opponents to 2 earned runs or fewer in 22 of his 26 starts and only once allowed more than 3 earned runs...among FSL starting pitchers ranked first in strikeouts per 9ip (8.53) and fourth in fewest baserunners per 9ip (11.29)...in his 13 starts after the All-Star break went 7-2, 1.79 while holding opponents to a .216ba...in a 3-0 win over Clearwater in the opening round of the FSL playoffs allowed just 1 single over 7.0 scoreless innings while producing a career-high 12 strikeouts without a walk...gave up a 2-out single in the seventh inning to Rhys Hoskins...was the winning pitcher for the U.S. team in the Sirius XM Radio All-Star Futures Game...entered the season rated by Baseball America the organization's best athlete and seventh-best prospect overall...was a non-roster invitee to Major League spring training camp. Spent the season at Class A Dayton, where among all Reds minor leaguers he ranked seventh in ERA (3.65) and fifth in strikeouts (127)...led the Midwest League in shutouts (2) while ranking T1st in complete games (2) and T3rd in starts (27)...was the organization's Pitcher of the Month for June (5gs, 2-0, 2.70, 1sho, 26.2ip, 19h, 4bb, 24k)...following the season was rated by Baseball America the 11th-best prospect in the MWL...on 11/20 was added to the 40-man roster. Entered the season rated by MLB.com the organization's 15th-best prospect. In his first professional season combined to finish 0-2, 4.05 in 7 starts and 2 relief apps for Rookie AZL Reds and Billings. September 10, 2018 Cincinnati Reds activated LHP Amir Garrett from the 10-day injured list. August 29, 2018 Cincinnati Reds placed LHP Amir Garrett on the 10-day disabled list. Bone bruise on left foot. May 6, 2018 Cincinnati Reds activated LHP Amir Garrett from the bereavement list. May 3, 2018 Cincinnati Reds placed LHP Amir Garrett on the bereavement list. September 5, 2017 Cincinnati Reds recalled LHP Amir Garrett from Louisville Bats. June 23, 2017 Cincinnati Reds optioned LHP Amir Garrett to Louisville Bats. June 4, 2017 Amir Garrett roster status changed by Cincinnati Reds. May 25, 2017 Cincinnati Reds placed LHP Amir Garrett on the 10-day disabled list retroactive to May 24, 2017. Right hip inflammation. May 18, 2017 Cincinnati Reds recalled LHP Amir Garrett from Louisville Bats. May 7, 2017 Cincinnati Reds optioned LHP Amir Garrett to Louisville Bats. October 3, 2016 Cincinnati Reds recalled Amir Garrett from Louisville Bats. 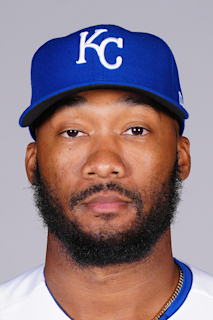 June 17, 2016 LHP Amir Garrett assigned to Louisville Bats from Pensacola Blue Wahoos. March 14, 2016 Cincinnati Reds optioned LHP Amir Garrett to Pensacola Blue Wahoos. October 5, 2015 Cincinnati Reds recalled Amir Garrett from Daytona Tortugas. July 16, 2015 Daytona Tortugas activated LHP Amir Garrett from the temporarily inactive list. July 12, 2015 Daytona Tortugas placed LHP Amir Garrett on the temporarily inactive list. March 16, 2015 Cincinnati Reds optioned LHP Amir Garrett to Daytona Tortugas. November 20, 2014 Cincinnati Reds selected the contract of Amir Garrett from Dayton Dragons. August 13, 2014 LHP Amir Garrett assigned to Dayton Dragons from AZL Reds. August 7, 2014 LHP Amir Garrett assigned to AZL Reds from Dayton Dragons. September 11, 2013 Dayton Dragons activated LHP Amir Garrett from the temporarily inactive list. August 27, 2013 Dayton Dragons placed LHP Amir Garrett on the temporarily inactive list. July 19, 2013 LHP Amir Garrett assigned to Dayton Dragons from Billings Mustangs. August 8, 2012 Amir Garrett assigned to Billings Mustangs from AZL Reds. June 20, 2012 Amir Garrett assigned to AZL Reds. August 15, 2011 Cincinnati Reds signed LHP Amir Garrett.